Pasture photo standards are an essential tool in good grazing land management. They will help you develop pasture budgets and dry season business management plans. There are photo standards and corresponding pasture yields for many of Queensland’s common pasture communities (based on region or pasture species). ‘Land condition photo standards for the Burdekin dry tropics rangelands’ are also available from NQ Dry Tropics, email info@nqdrytropics.com.au or phone 07 4724 3544. Download the Stocktake Plus app to access photo standards, land type factsheets and much more from your mobile device. 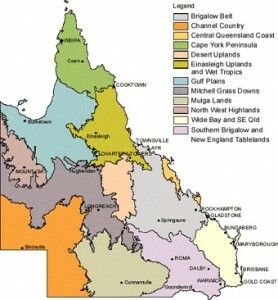 Read more information about Land types of Queensland. Beef extension officer, Olivia Pisani from FutureBeef, outlines how photo monitoring can assist graziers with grazing land management decisions and how to select and set up photo monitoring sites. 5:14 minutes published 23 April 2012 by FutureBeefAu.